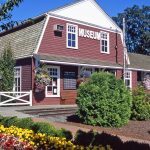 The volunteers of the charming Agassiz-Harrison Museum and Visitor Information Centre are getting ready to open for the spring and summer operating season. Join us on Saturday, May 19th as we open the doors to welcome visitors from near and far. The Museum and Visitor Information Centre will remain open until the October Thanksgiving long weekend. Learn about the area’s local history, browse unique local handmade items and artwork in our gift shop, and take away brochures to plan your visit to BC’s destinations. Operating hours are Monday – Saturday, 10 am — 4 pm. Sundays 1 – 4 pm.